Sometimes the design in my head doesn’t always fit with the money in my wallet…can I get an amen?!? In times like these, I generally have to get creative and figure out a way to make something similar to what I have envisioned for the space. 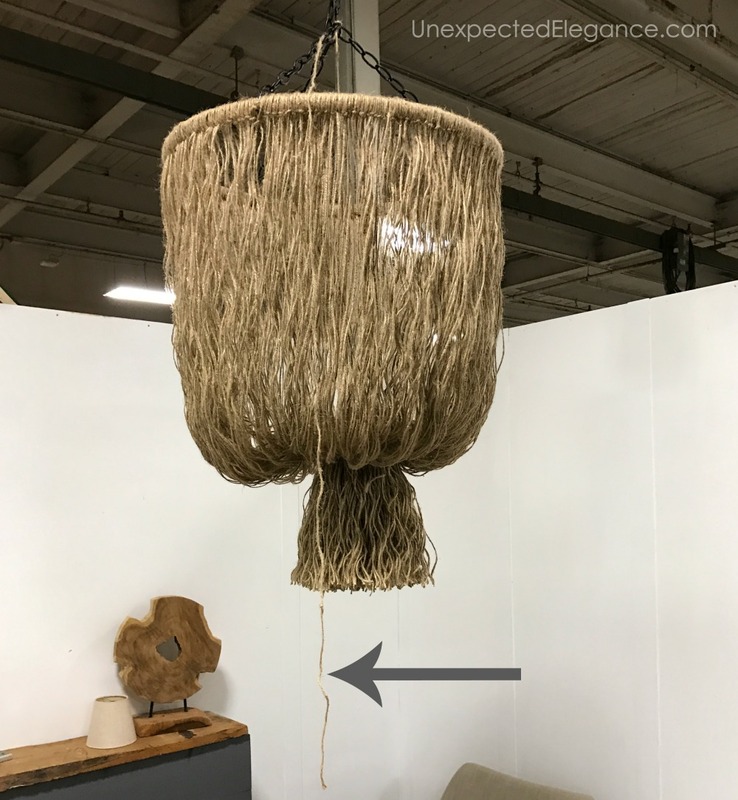 So when I started working on my space for the Indy Home Show, I wanted a large and unique chandelier…and I found the perfect one (HERE). The problem was the price tag was almost $2500 (gulp)…let me just say that will NEVER be in my budget. I searched the house and found almost all the supplies I needed to make a knock-off. 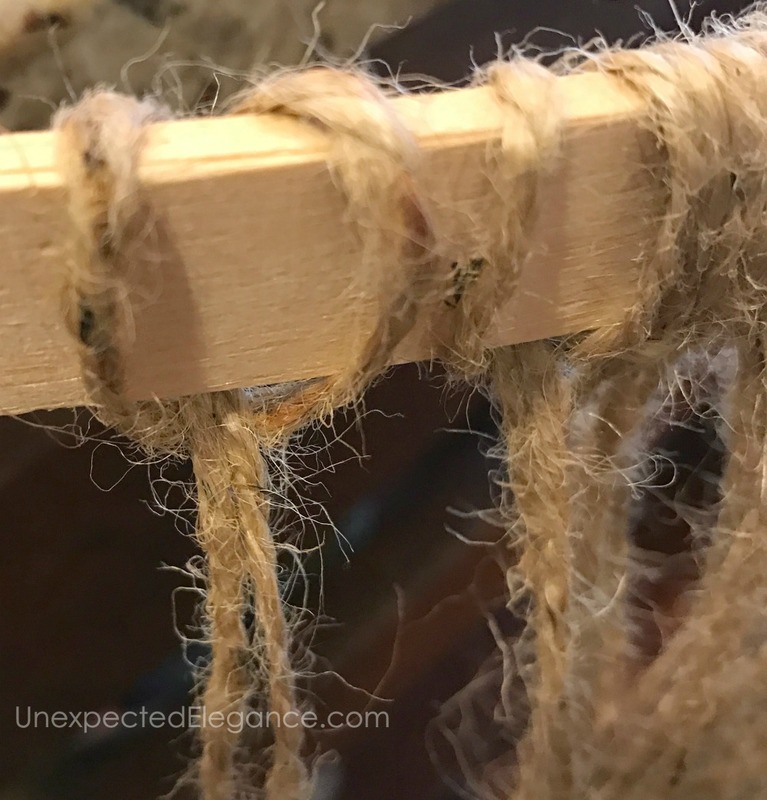 I decided to use juke twine, but if you wanted it closer to the original you could use a cotton twine. You can make this as large or as small as you want, depending on the size of hoop you get. jute twine (this will depend on how full you want it and how big) I used (15) 190 ft. rolls. embroidery hoop I used a 23″ hoop. 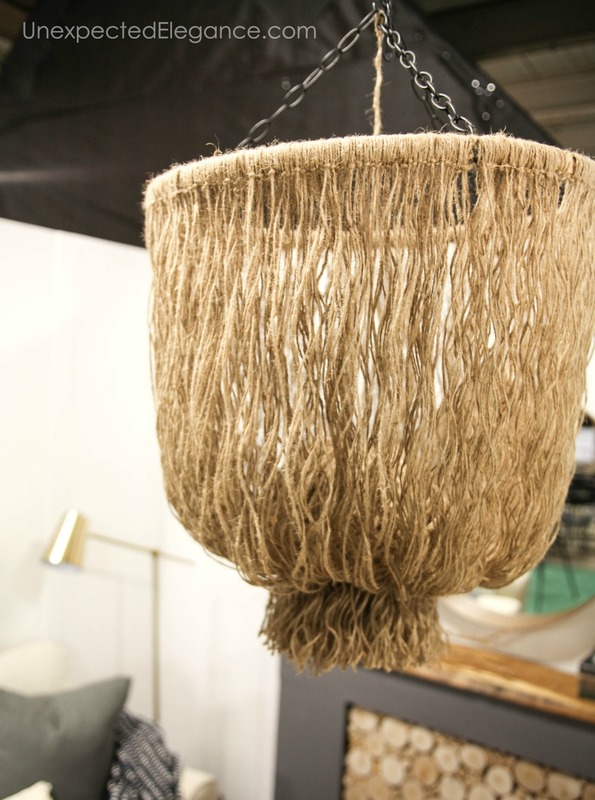 If you have a place to hang it and work, that is your best option, otherwise just start attaching the twine. I cut really long pieces around, around 6 feet each, because I wanted it to be pretty long. Continue doing this until you have the hoop completely covered. Then measure out equal distant around the hoop and attach a piece of chain. You can either do 3 or 4 piece of chain coming off the hoop, but you want to make sure each one has the same amount of links. I did 3 sections of 11 links. Then attach each of those to another chain that will go all the way to the ceiling. You will need something round for this next step. I suggest a plastic cup. 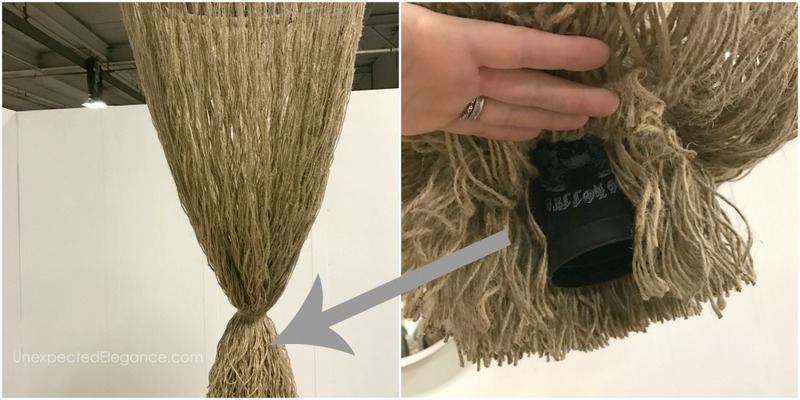 Make a small hole in the bottom of the cup and then attach a long string from the cup to the top of the chandelier. Take a piece of twine and tie it tightly right above the cup. It should look like the photo below. Then use that string to raise the cup up into the center. 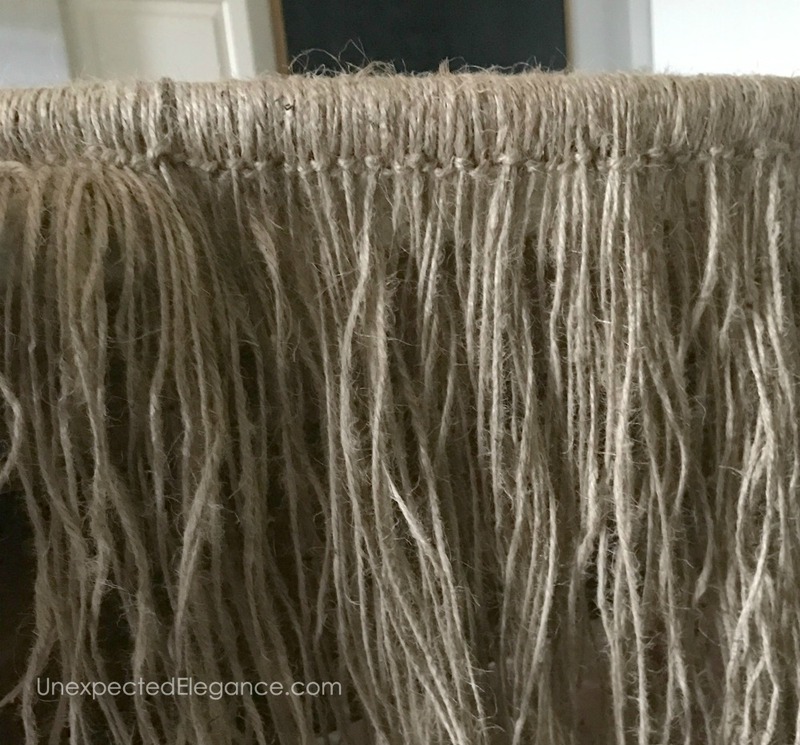 When you have it the way you want it, tie the string on the chain and trim the fringe to look uniform. Finally, add in your light kit to the center and your done! I don’t have the light kit in mine for the Home Show, but I’ll add it when I install it at my house. What do you think? Is my knock-off a good alternative? 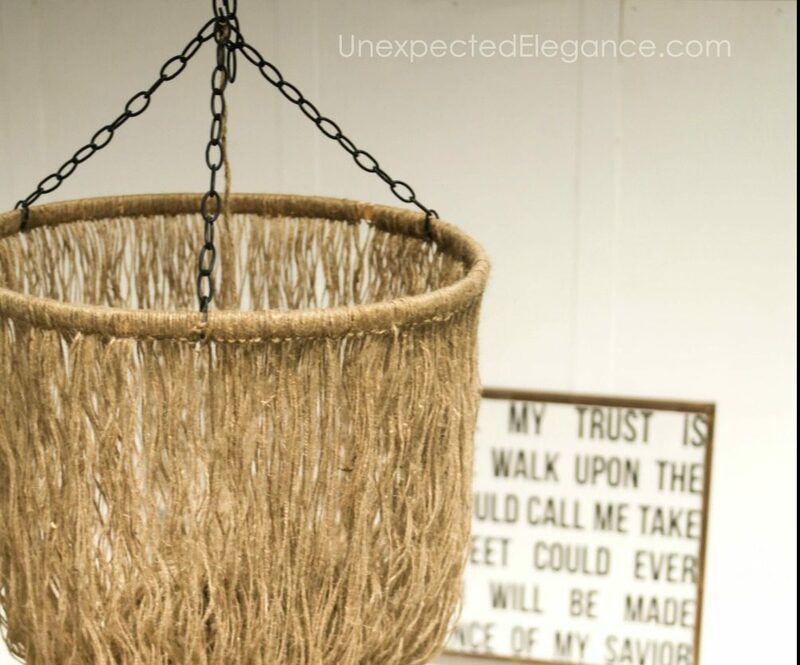 The only thing I had to buy was twine, so I spent around $30…a $2420 savings! 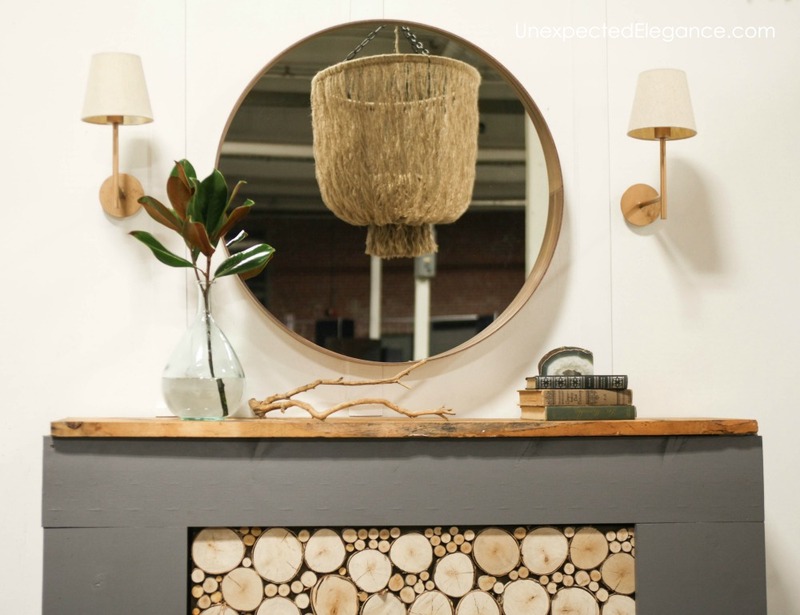 This is the best DIY Chandelier I’ve ever seen I can’t wait too see it when it’s lit up with a light bulb!